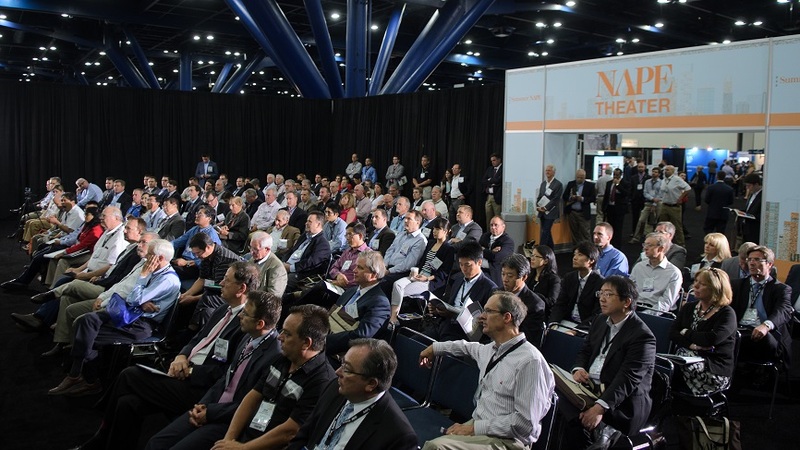 Business Conference presentations, packed Prospect Presentations and buzzing activity on the exhibit floor proved that NAPE continues to be the place for oil and gas decision-makers to do business in all market conditions. The Summer NAPE exhibit floor opened at 1 p.m. on the first day with industry professionals from across the country taking the floor to view the 200-plus exhibitors and 100-plus prospects. Summer NAPE’s more intimate setting provided opportunities for attendees to reconnect and forge valuable new contacts and partnerships. “Our presence at Summer NAPE 2016 and as a prospect presenter has opened the door for several new business opportunities for us,” said Chad Barbe, landman with Manzano Energy Partners II LLC. Exhibitors present “We’re busier than we’ve ever been,” added Bill Britain, president/chairman of EnergyNet. “It’s so great, NAPE. We’ve had an opportunity to really talk to people and have quality conversations about their properties and their business. We love it here and would not miss it.” “Western Land Services is a life-timer; we’ll always come to NAPE,” said a company representative. “Even when the market is slow, the value of seeing new clients and having a presence here is invaluable.” “Summer NAPE gave us the opportunity to connect with our key industry contacts and colleagues,” said Arthur Medina, vice president at Purple Land Management. Across the show floor, exhibitors and attendees talked about ways the upstream oil and gas industry can think differently and optimize operations to succeed in a low-price market. “You have to provide product that fits the changing industry. Reserve Energy Exploration has done that, and we’ve had a good show,” said Joe Haas, company president. “We’re focused on providing integrated solutions that help E&Ps streamline operations and do business more efficiently — a necessity in today’s new price environment,” said Nicole Durham, marketing director at Enertia Software. This year, Summer NAPE featured several new attractions to help attendees bolster their careers and their businesses, including Capital and Service Provider Presentations showcasing new technologies, tools and data analytics software available for landmen and operators. Among the most popular of Summer NAPE’s new attractions was its free professional headshots booth, which had a line wrapping around the booth for most of the morning. “I didn’t know Summer NAPE would be offering free headshots. It was a nice surprise this year,” said George Oggero, RPL, with PO&G Resources LP.